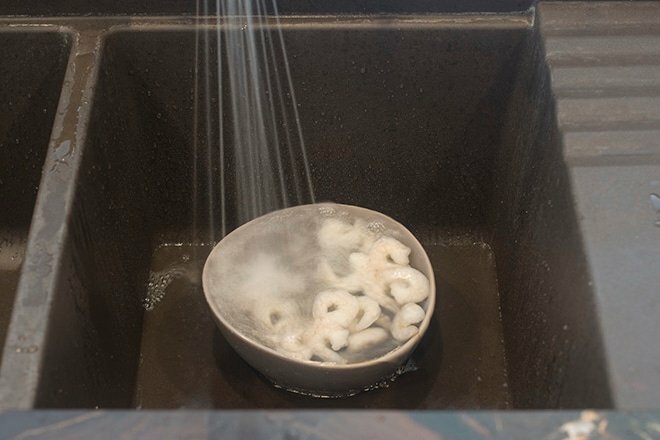 Here is a great method for thawing shrimp quickly. 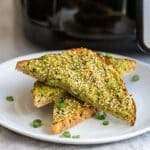 It only takes 5 minutes! 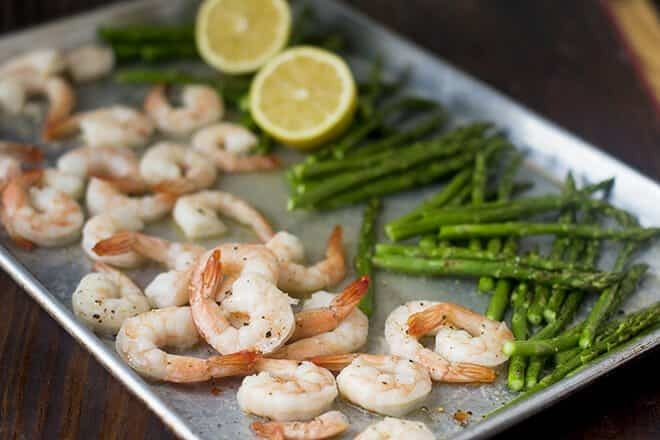 Shrimp are often frozen right on the boat after being caught. 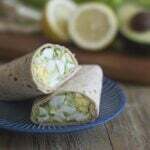 This is the best way to get them to you fresh and tasty. 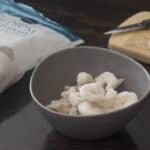 The only thing that you have to do to start cooking them is to spend a few short minutes defrosting them. But note that if you’re in a hurry, you totally can cook shrimp from frozen and they turn out amazing. If you still want to thaw them before cooking though, the info is below. 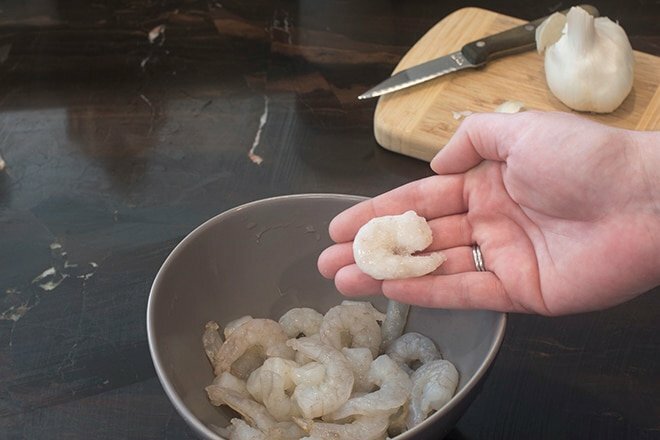 Put the shrimp into a bowl that is twice the size of the amount of shrimp that you have. Here I have 24 medium shrimp (51-60 count) and I’ve used a medium bowl. 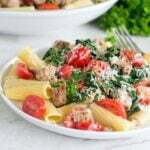 Fill the bowl with cold tap water. 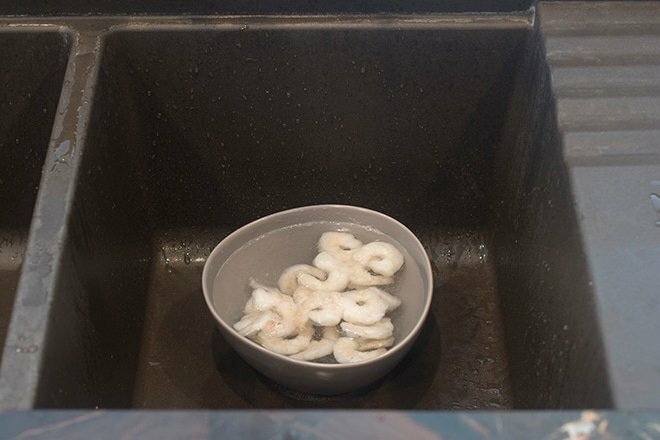 Keep the tap running gently until the shrimp are defrosted. This will take about 5 minutes. 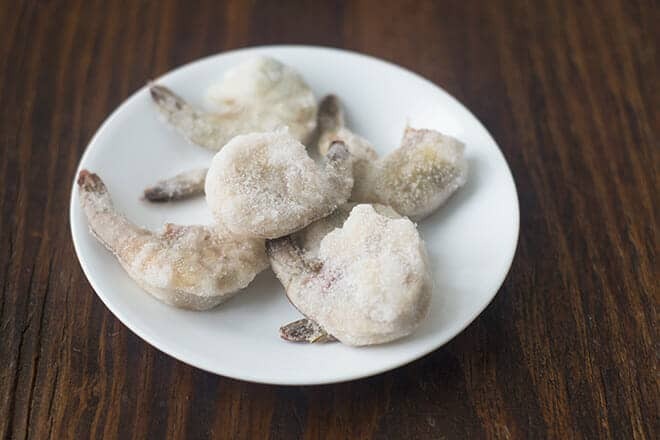 You’ll know the shrimp are fully thawed when they are pliable (thus not frozen in the center) and the color is no longer white but more somewhat translucent. I’m holding a still-frozen shrimp here and you can see that it is whiter and more opaque than the defrosted shrimp in the bowl. 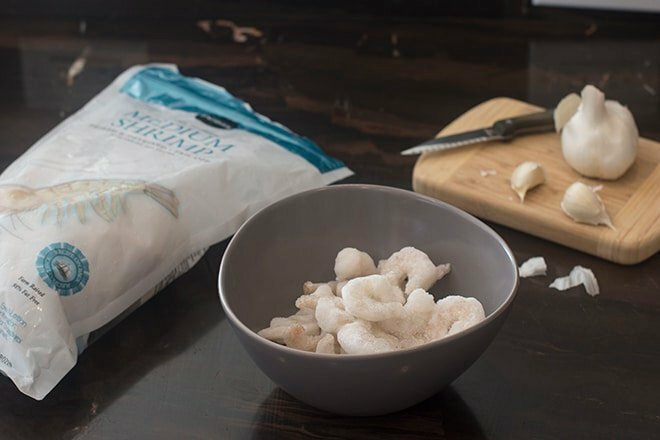 Here is a great method for defrosting shrimp quickly. It only takes 5 minutes! Fill bowl with tap water. Keep tap running gently into the bowl. 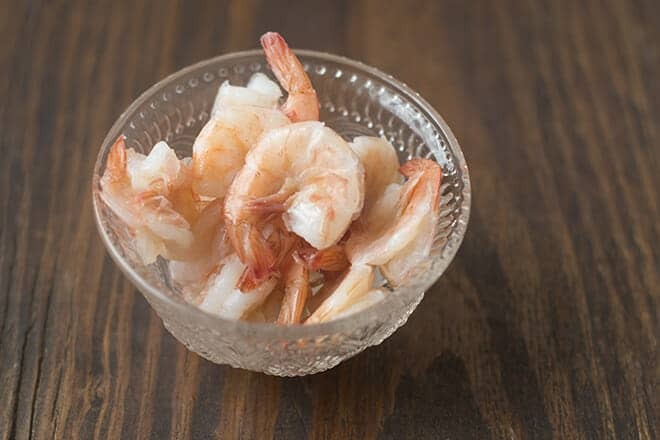 When shrimp are less opaque, less white, and pliable if you try to bend them, they are defrosted. It takes about 5 minutes. 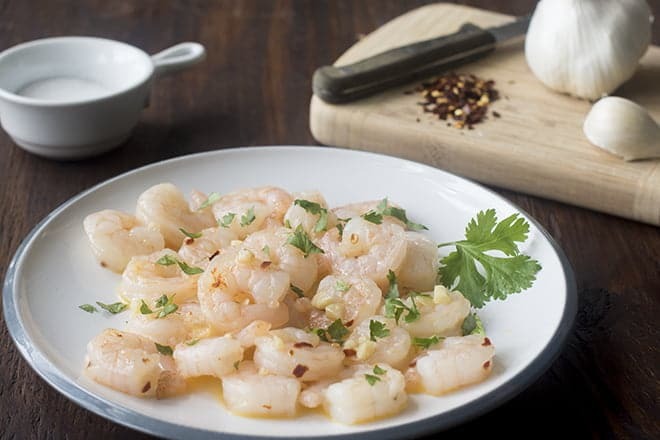 *Note: If using more shrimp or larger shrimp use a bigger bowl. You want the bowl to be twice the size of your pile of shrimp.